After your save-the-dates have been sent, your wedding party has been chosen, and your wedding website is active, it is time for you to register for gifts! Wedding gifts are a way for your guests, and really anyone who wants to, to show you their love and support and provide you with the items you will need to start your life together. Because every couples style and need is different, it is often hard for guests to narrow in on the perfect present. That is why a wedding registry is so important! But it can often feel overwhelming to start! Today I want to share the most common questions we get as wedding planners to help you along on the process and make this process what it supposed to be – FUN! Let’s talk about where you should register. We like to suggest registering at three different places. By having different stores you are sure to include a range of items you can use and include different price points for your guests. We also suggest taking into consideration where your guests live in the country (or world). For example, Belk is a regional store in the South and if most of your family lives out west, this might not be the best option. Our top picks are: Target, Bed Bath and Beyond, Belk, Macy’s, Dillard’s, Crate and Barrel, Pottery Barn, and Williams Sonoma. Recently there have been some new registry lists, such as My Registry, that compile all of the different stores you register at into one registry website. Which can streamline the process. Want something more virtual? Then consider, Amazon, where guests can ship the items right to you! There is even a site called Zola, that will hold all of your items to ship at one time, whenever you choose. This would be perfect if you are one of those crazy couples who buys a home while planning your wedding (which many of our couples are!). This is a tricky question because it depends on you the couple and your needs. Maybe you are truly starting a life from scratch after you wedding and moving from your parents home for the first time, or maybe you are an established couple that has been living together for years. Since each situation varies there is no set rules, however, there are lists upon lists available online to give you a good idea of what you can register for! Here are some popular ones that I think have good merit: The Knot, Brides, The Everygirl. It’s good to remember though as you are choosing items to make sure you picking items you really think you will use. Things like towels and sheets are something you always need. But one pro tip I like to share is to register for extra glasses, including wine glasses, and at least 1 extra dinner plate. These item are often broken and it may be a difficult in the future to find your pattern. How Do I Let People Know Where I Have Registered? First and foremost, you can let people know where you are registered by word of mouth. Your bridesmaids should be able to communicate this fairly well to other wedding guests who are friends! You can also place your registries on you wedding website, which would be listed on your save-the-date. This is an easy way for guests to be able to find your registry. The final way to allow guests to know where you are registered is at your informal showers. 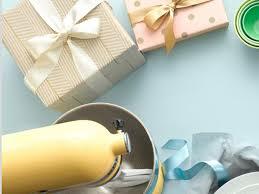 If you have a bridal shower or a couples shower, the host of the shower can list where the couple is registered. One point of etiquette though, never print your registry or the stores where you are registered on your save-the-date or your wedding invitation! It could come off as if you are asking for a gift, which may turn guests off. I hope this post helped you see that creating a registry doesn’t have to be overwhelming, have fun with it! 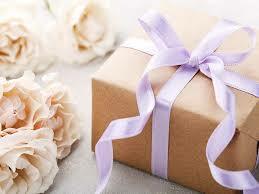 Want more tips on planning your wedding, contact Magnificent Moments Weddings! We would love to help you plan your big day!